Belief is the hardest thing to do when it comes to faith. It matters not the evidence God provides for man or mankind to help with belief.Belief is further then trusting the words of another but faith must come from God himself to our hearts.We must know within our own experience Christ has risen from the tomb. This is Easter April 21, 2019, I am written a declaration of faith based on God's conviction of the heart. Man can teach all things in the world. He teach you to drive a car, can teach you about a stack of books that deals with education, can teach you how to create with crafts and can teach what has been handed down from generation to generation. Until one actually gets behind a car, open a book, mold some clay, or pass down to the next generation the stories of their ancestors no one knows the power of education beyond the hearing. There as to be more to the experience then hearing. The woman at the tomb where convicted by the experience they had of the empty tomb of Christ. They seen two angels that testified Jesus was not hear He was risen. If I had only the women's testimony would I believe this morning that Jesus was risen. No but I would at least wonder about the women's experience. There was more then one woman to testify. More then one person to say these things happened before their eyes. We must remember the story in the other Gospels of the empty tomb. Mary Magalene(who Jesus had casted seven demons out of her) was so upset at the empty tomb she wept. Yet she did not have experience of resurrection without Jesus speaking with her after his resurrection, giving her faith and hope that there was eternal life. Hope springs anew but we need to remember what all the women seen. One Gospel explains that earthquake occurred and an angel descended and rolled back the stone and the soldiers guarding the grave of Christ were slain. Lets stop and regroup the evidence the women had of the experiences woven in all the Gospels was enough to convince them of his resurrection and telling all these things to the men was enough. Reading one Gospel alone might not be enough evidence to convince what happened, but the four Gospels alone is enough to convict the heart to wonder at these things. Peter hearing the women ran to the tomb and found it empty. Yet the story for the disciples for belief of Christ Jesus resurrection did not stop with the women's testimony but the appearing of Him after the resurrection. Without the resurrection it was just an appearing of a ghostly man. Without the evidence of Christ Jesus eating before them bodily food, He would be ghost or a dream. Christ eating the food was proof of his resurrection. What then can we say. His appearance to the disciples was evidence of who Christ was. Yet we must concur what else happened. The empty tomb was not enough, but appearing of Christ to his twelve disciples and then over 500 more disciples would be a convincing that would shake the world with the preaching, testifying and miracles that would come after Christ ascension into heaven by disciples. It was not enough to know Christ risen but Christ also expounded on scriptures. 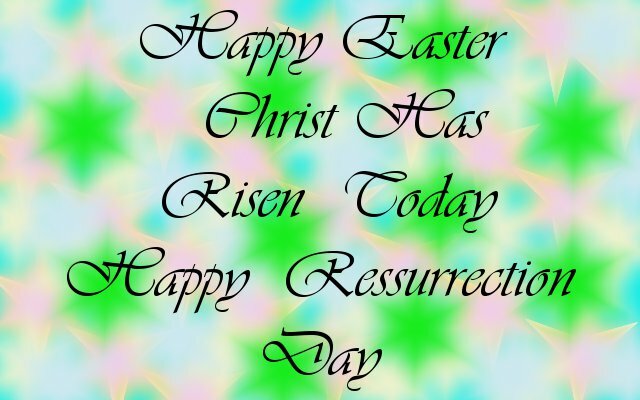 It not enough to say Christ is risen, but it must be taught why we believe Christ is risen and how scripture prophesied these things that would come to be. I can not just say Christ is risen without telling you about the scriptures to help you believe. Stories of the evangelist walking up and saying repent for the kingdom of heaven at hand, must come with more knowledge of the need for repentance then just sighting a proclamation. We need to teach the scriptures. And one needs not to be a memorizer to teach, but it help if one has that ability. Telling the stories comes with mediation on the word of God and listen to the Holy Spirit. Children repeat what they hear even before they learn to read. You teach them stories that is what they will repeat, and if you teach them verses they will learn to repeat them with repetition. The story of tomb was a repeated story. It was repeated and then written for evidence of our hope in Christ. Yet all truth, the teaching of scripture must come with our own testimony of how Christ changed our life. How through our own troubles, prosperity, and happiness, Christ has made a difference in our life. How God's word is true even today in our own life.